South Tyrol is one of the oldest wine growing regions in central Europe. 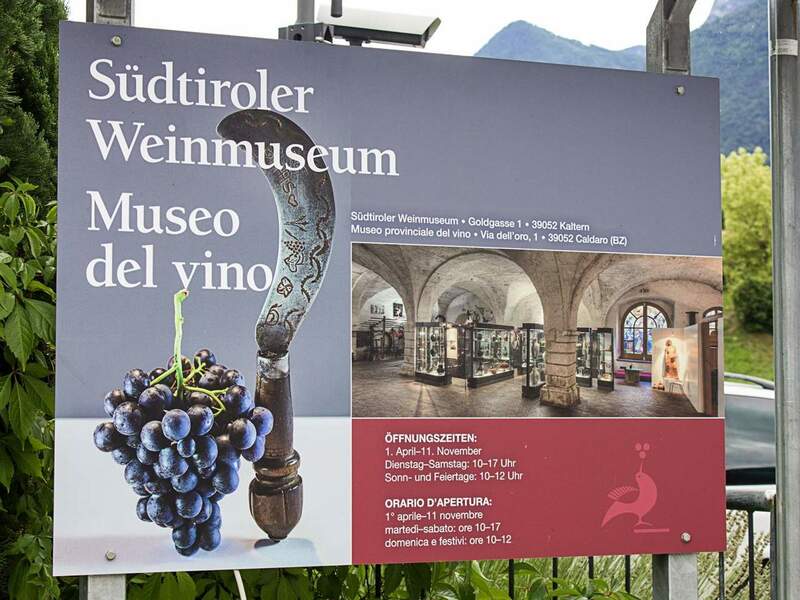 The Wine Museum in Kaltern gives visitors an insight into the history of wine and its cultivation in South Tyrol. 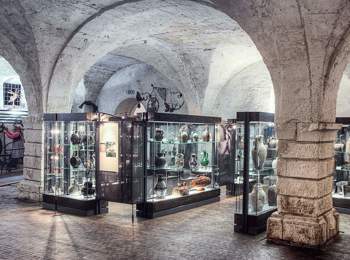 In the past, the oldest wine growing museum in Italy was accommodated at Ringberg Castle above Lake Kaltern, before moving to the historical centre of Kaltern in 1988. The historical walls of the former winery of Kaltern-Laimburg lordship were a private winery before becoming the wine museum. The deep cellar, a groined vault from the 17th century and ogival doors made of stone are the perfect scenery for the variety of interesting exhibits. 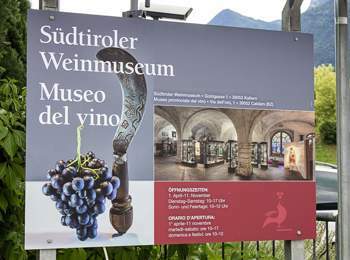 The permanent exhibition conveys an impression of the local wine growing traditions and the farmers’ work. This way, for instance, visitors can learn more about traditional tools use the wine cellars. A fully equipped cooper’s workshop tells more about the former importance of this handicraft for the wine region South Tyrol. 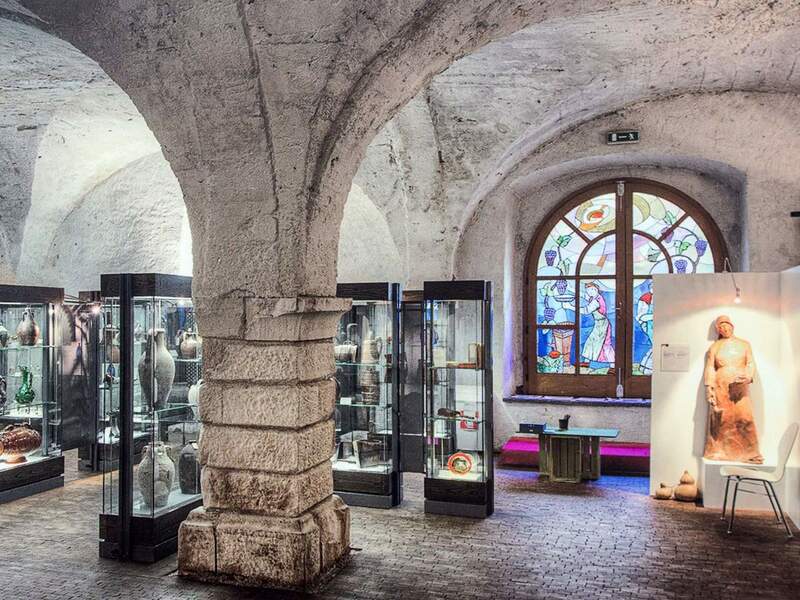 From the middle of July to the end of August, the South Tyrolean Wine Museum offers workshops for kids on certain days per week. Due to the limited number of participants, an inscription is necessary. The museum’s vineyard with view to the picturesque Lake Kaltern is a highlight for visitors of any age. In autumn, you can pick the grapes of rare old wine varieties and taste them as well. 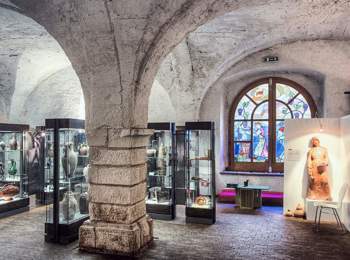 From the beginning of April to the beginning of November, the South Tyrolean Wine Museum is open from Tuesday to Saturday (10 am - 5 pm) as well as on Sundays and public holidays (10 am - 12 am). On Mondays and on November 1st, the museum is closed. Each Thursday, there is a guided tour from 10 to 11.30 am, finished with a tasting of Kalteresee, the famous Vernatsch wine of the region, in the deep cellar. Groups of five persons can book individual guided tours with or without wine tasting.